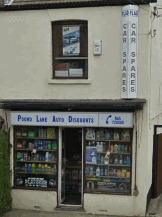 Need An Upminster Car Spares Shop? If you live in or around Upminster in Essex, and have started your online search for low cost and affordable car parts and spares, then stop what you are doing! You have already come to the right place. You may not have heard of the name Pound Lane Auto Discounts, but we are the number one car spares shop in Essex, and have been for the last 30 years. And I guess it’s fair to say that we are more than proud to still be in the business 30 years after first opening our doors, as many other companies have not been so fortunate. The reason for our continued success? We believe that we have to provide the best we can in three key areas. We want to offer the best choices, the lowest prices and the best customer service too. 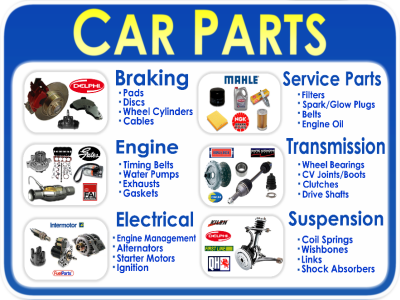 And these are the areas that we know our loyal customer base require from any car spares or car parts shop. From brake pads, to spark plugs, to car accessories and cleaning stuff, to whole exhaust systems and body parts, if you want it then there is a very good chance that we have it in stock. And it doesn’t matter if it is Vauxhall Spares, Ford Parts, BMW Spares, Kia Parts, Jaguar, or even some obscure import from America or the continent. If we don’t have it, we can normally get the car part you want within a couple of hours or so. And…..ok we might be labouring the point a bit but we have to point out that after being around for 30 years, we have a great network of breakers, car parts suppliers or just old fashioned knowledge that has been built up over the years. So if we haven’t got the car parts you want on our online e-store with our fantastic "Click and Collection option", or can’t get it ourselves, we can normally tell you where to go to find it. And that is why we have been dominating the car spares shops in Upminster and the rest of Essex, for so long. Even though we still have people popping in to tell us. So we would be extremely grateful to be able to supply car parts and spares to you and your family, to keep your Upminster motors running for another 30 years or so. Below is the full list of cars and commercial vehicles that we presently can supply for. And we mentioned previously if your automobile is not on the list still give us a try, as there is a good chance that we can still locate the part for you. Deliveries is one of the things that we will not be doing I'm afraid. But Where Are We You May Be Asking? Well use the driving instructions below which will bring you straight to our door. There is a link at the bottom of the image which will take you to Google Maps, so just enter your Upminster postcode in the field for directions that you can print up. And that desire to take the unwanted effort out of your driving and motoring experiences is why the town of Upminster, have the perfect car spares accessories shop right on their doorstep. Drive along the A13 or A127, until you arrive at a large roundabout known locally as the Sadlers Farm roundabout.